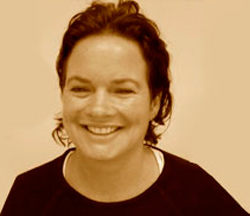 Mira Riddiford is a Meditation, Dharma, Archetype, Western Mysticism and Mindfulness teacher based in Auckland, New Zealand. She runs ongoing classes, retreats and professional workshops throughout Australasia, and her online classes have participants joining in from Europe, Asia and North America. Mira can be invited to teach meditation retreats and classes worldwide. She is also available for Skype sessions. Along with Mindfulness, Mira is known for her work with ancient Greek, Roman, Egyptian, Norse and Buddhist meditations. Starting young in meditation, taking herself off for silence and absorption as a child, Mira supports the efforts of children engaging with calming their minds. She has taught the Garden of Mindfulness Family retreat for the last four years, and is involved with mindfulness in education. Mira has studied in the tradition of Ven. Namgyal Rinpoche for the last two decades having received teachings in this tradition from Ven. Namgyal Rinpoche, Tarchin Hearn, Bonni Ross, Lama Mark Webber, Leander Kane, Cecilie Kwiat, Chime Shore, Doug Duncan and Catherine Pawasarat Senseis and Lama Sonam Gyatso, amongst many other helpful teachers from other traditions. Through apprenticeship Mira has organised and managed many retreats and classes for her teachers. She has also created and run two Dharma houses in Auckland, that have supported people’s ongoing meditation practices and personal development. Mira is one of the leaders of the Auckland Sphere Group Tuesday night sits, a meditation night that she has been part of over the past two decades. Passionate about the power of communication, Mira is also the webmistress for the Wangapeka website, managing the Social Media accounts and creates “The Newsphere” the digital newsletters the Wangapeka emails out. Mira also teaches Mindfulness in Movement, body based classes which are deeply restorative, which work well for releasing ongoing body tension, and settling the mind. She has given workshops for performance athletes on how to be with stress and anxiety when competing at the top level of their sport, and how to concentrate the mind and tune into their bodies signals for greater results. Mira runs workplace mindfulness seminars. Having been a production manager, an account manager and a creative, she understands the demands of a professional career. She has also presented workshops on how to manage the anxiety of living with an ongoing life threatening illness, and has taught mindfulness in education in Auckland. Mira teaches loving kindness and compassion meditations. She focuses on unitive and non-dual practices that allow the heart to gently open, relax and rejuvenate. Mira is delighted by the challenge and creativity of Esoteric, Vajrayana, Western Mystery, Symbolic and Archetype practices. These integrative meditations help us work directly with addressing our humanity. Mira specialises in ancient Greek, Roman, Egyptian, Norse gods and goddesses, and has created many visualisation meditations that work with these ancient themes of wisdom. Mira has taught a week-long Western Mystery retreat focussing on the tarot symbology and European Gods and Goddesses of Healing for the last four years. Mira has over two decades of experience, started intensively training in 1995, and was given authorisation to teach 16 years ago.